Stunning contemporary remodel on a beautiful unit overlooking the pool. You walk into to wood-look tile floors throughout the downstairs with a large brick fireplace. The kitchen has been opened up and remodeled to include an open feel to the dining area and lining room. 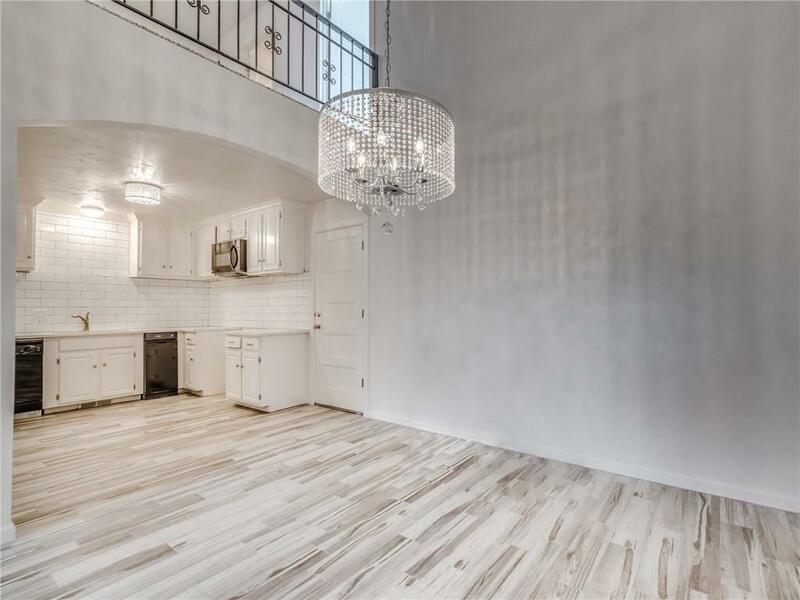 Inside the kitchen you'll see the beautiful white subway tile, white granite countertops, and white cabinets. SELLER IS OFFERING AN ALLOWANCE FOR NEW OVEN/STOVE You also have a HALF BATH ROOM DOWNSTAIRS! Up the stairs you have a landing and 2 massive bedroom suites, and laundry. In the bedrooms you have large walk in closets, full bathrooms and tons of natural light.